Were all wondering do these famous hair products and processes make any difference - or do they damage your hair? 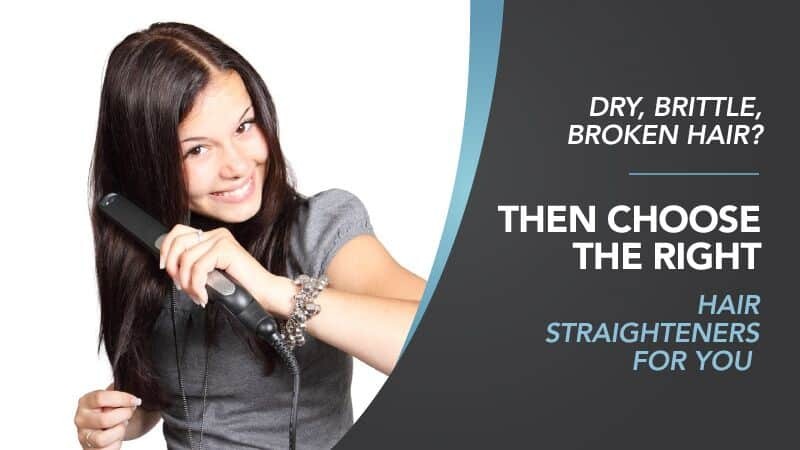 Let's smooth over some of the facts about how your hair is being damaged whilst using your hair straighteners and how you can find the best hair straighteners for damaged hair, that will improve your health of your hair not make it any worse! First of all as a modern, fashion conscious society, we seem to never be contented, always wanting what we can't have. Nowhere does this prove truer than with hairstyles. Women with stick-straight hair want waves, and those born crazy out of control hair want the sleek straight look. Sometimes it can become an obsession and most women or men cannot get out the house in the morning without using their hair straighteners. In recent years, shiny, blown-out straight hair has been the most sought-after style. Women will go to great lengths and expense to get their hair to behave according to current fashion. The straight hair fashion includes hair straighteners, blow-dryers, and all kinds of products claiming to fight fly-aways and get rid of any curls. Bosch may not be the sort of the name you instantly associate with hair styling products. But when it comes to reliable and high quality electrical products, this is one of the best names in the business. Thankfully Bosch have managed to combine their electrical knowledge with tips from some of the leading salon professionals in the business, bringing this product to life. To read the full review on Bosch Brilliant Hair Care Keratin Hair Straighteners then click here. This product has very positive reviews. customers are very pleased with how quickly the straighteners heat up. Great value for the price! Some customers feel the buttons being on the top of the straighter can be inconvenient as they can be accidentally pressed. When there is a hair straightener that claims to utilise a revolutionary technology, it is understandable that people are going to sit up and take notice of what is on offer. This is the case with the panasonic smooth and shiny hair straighteners. Nanoe particles which are said to be generated from air particles that generate at the tip of the ceramic coated iron plates, this is said to prevent any damage when styling your hair. If you would like to read the full review on the panasonic smooth and shiny hair straightene﻿﻿r﻿﻿s then read here. Customers feel the automatic shut off is a great feature. They don't come with a heat resistant mat for you to lay the straighteners on whilst they are heating up/cooling down. Q. Do they come with a heat resistant pouch/bag? A. There is no heat resistant pouch/ bag in the box. These straighteners are the new technology and are hair salons, next must have straightener. They make it easy to achieve salon quality styles, leaving your hair looking soft, shiny and beautifully smooth. H2D are a luxury hair styling range for those who only want the best for their hair. I think we have found one of the best hair straighteners out there for damaged hair. 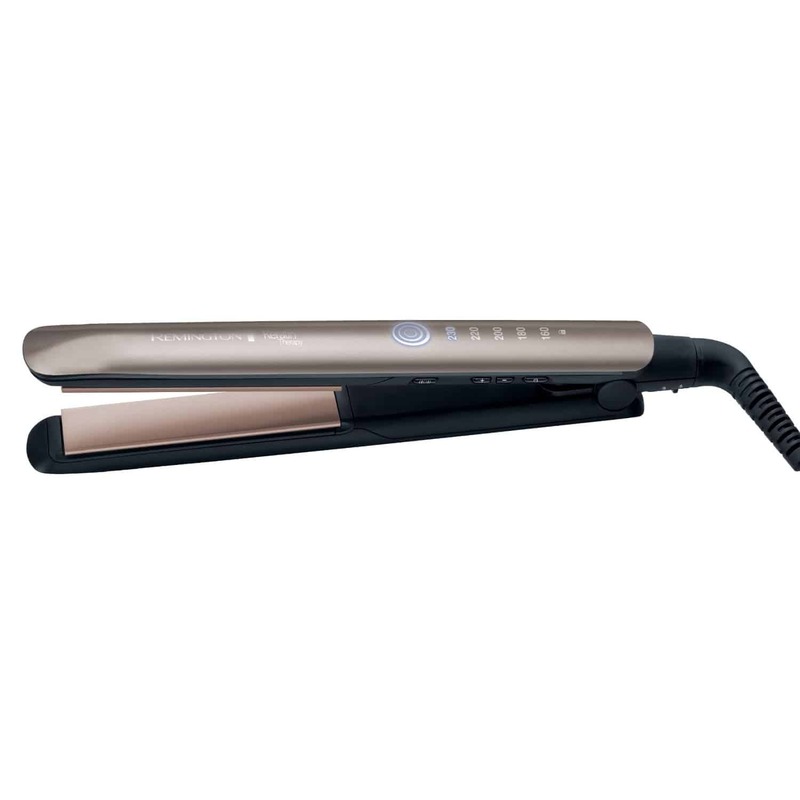 This straightener has adjustable temperatures which are necessary when looking out for the health of your hair. Some hair that is finer and more damaged will need a lower temperature but if you have thicker more difficult hair type you will need to choose a higher temperature to be able to get through your large amount of hair. If you would like to read the full review on the best hair straighteners for damaged hair the click here. The cable is extra long (3m) so you don't have to hug the wall! Some customers feel these didn't glide through their hair as easy as other straighteners. 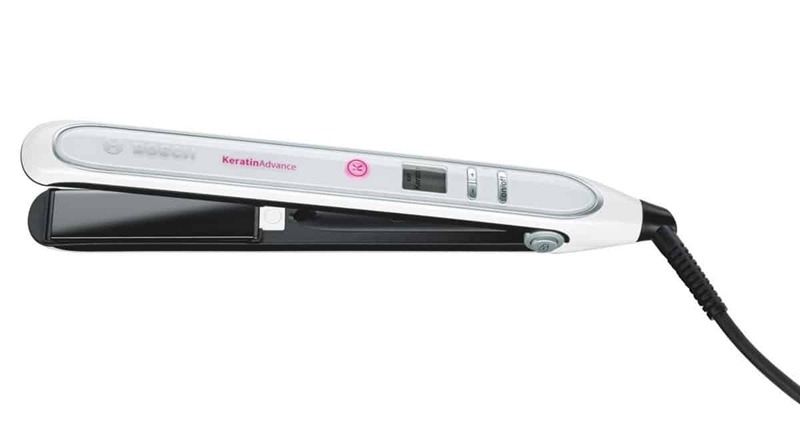 If you’re looking for a reliable straightener for thick hair, then the remington karatin therapy pro straightener can be a very good product to focus on. ​Aside from the fact that it comes with a very appealing price, the product actually manages to deliver an interesting set of features and it’s just a great pleasure to use right from the start. ​It’s also important to keep in mind that while the design is plain and simple sometimes this is what people are looking for nothing to fancy. If you would like to read the full review on the remington keratin therapy pro hair straighteners then click here. The straighteners have a swivel cord which stops the wire from getting tangled. Customers feel these took a little longer to heat up than expected. Nicky Clarke’s bestselling range – and has been recently updated using ceramic black pearl for a smoother finish, and Moroccan oil for a desirable shine. 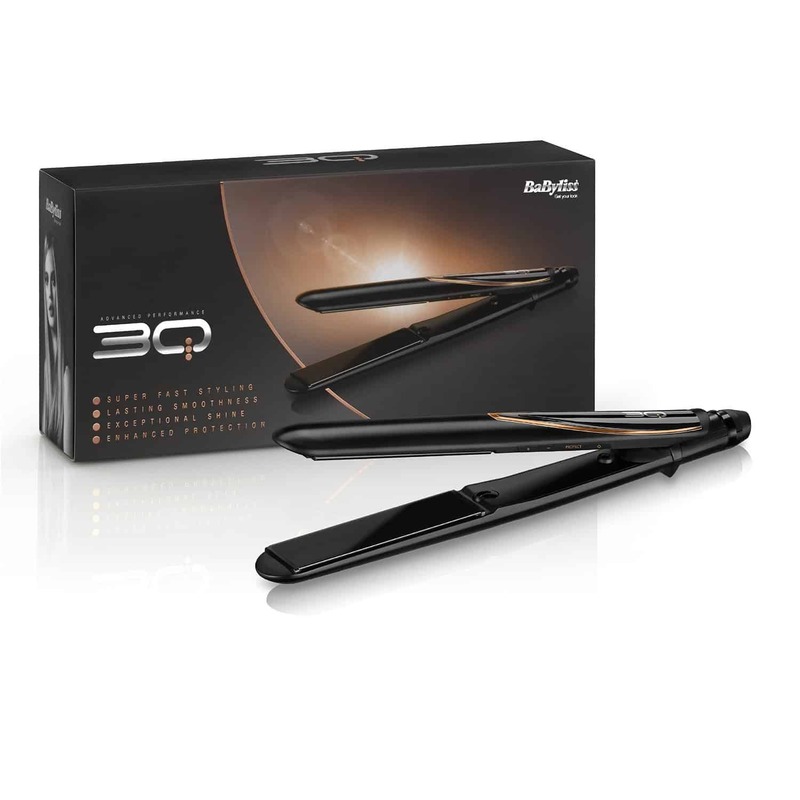 The range includes desired hair straighteners, desired hairdryer, and desired wide plate straightener. With black pearl infused ceramic plates, this allows the straighteners to glide effortlessly, smoothly through your hair helping with no snagging, looking out for the health of your hair. It also has the latest ceramic heating technology to help the heat up time become quicker, less time for you to be waiting around for a fabulous result for your hair. If your would like to read the full review on Nicky Clarke Desired hair straightener then click here. Customers were very happy with how quick these straighteners heat up. We cannot find any negative reviews on this product...Result! The L’Oreal steampod is different to the average pair of straighteners. It works by using steam to style your hair a bit like using an iron when decreasing your clothes. Not only is this product unique but there are many different types of creams and keratin products that can be applied to the hair before steaming your locks. Pre straightening products can help to restore the health of damaged hair. 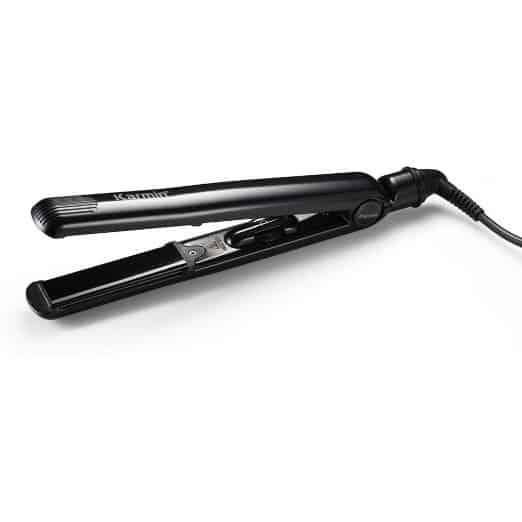 They do work well alongside the steam straightener and helps to add keratin proteins to keep your hair healthy. To continue reading the full review of the best hair straighteners for damaged hair the l'oreal steampod 2.0 professional hair straighteners click here. Customers were very pleased with how quick these straighteners straighten your hair and how they leave your hair feeling sleek and shiny for days! Some customers feel these straighteners are heavy to hold, especially if you have a lot of hair to work on. The Nicky Clarke Diamond shine pro salon hair straightener instantly stands out from other straighteners similar this product. 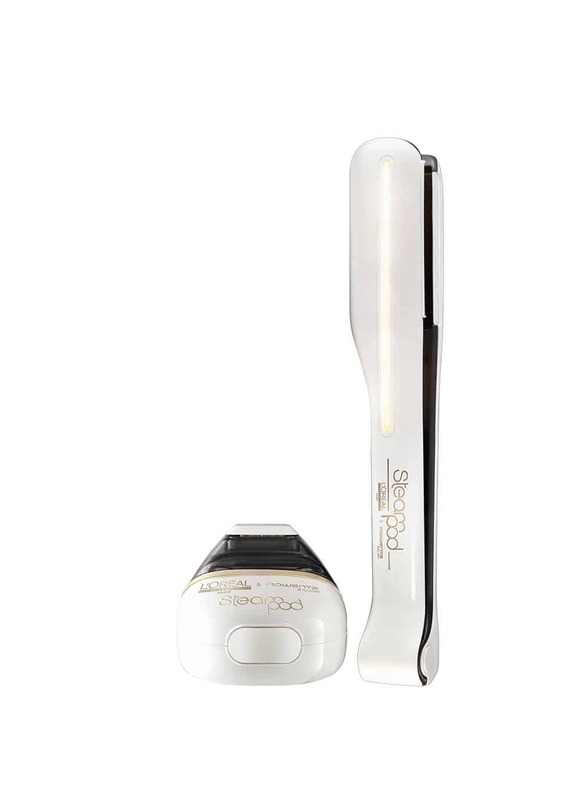 It features diamond infused ceramic coated plates for the ultimate smooth results. The diamond shine is beautifully presented in a gloss white and with a brushed steel finish. Also with extra diamante embellishment that makes the product look like it’s worth a million dollars. Read the full review of the best hair straighteners for damaged hair. the Nicky Clarke Diamond Shine Here. These straighteners have a temperature control feature. The "on & off" button and "plus" and "minus" buttons are in the most unsuitable place - where you hold / grip the straighteners, i.e. 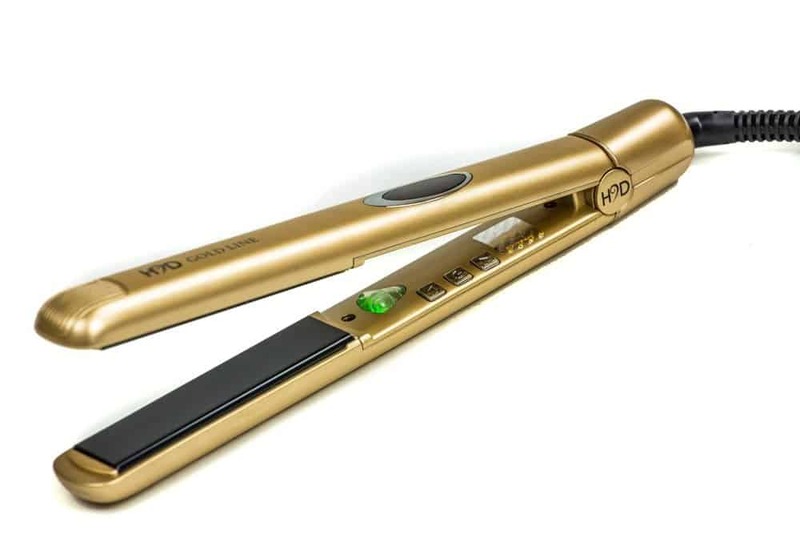 on the "handle", therefore you cannot avoid pressing on these buttons when you use straighteners. The Babyliss 3Q has a feature that is unheard of and has got me really excited to review this straightener. It has something called “protect mode”.It simply does what it says, protects your hair. It has intelligent sensor technology that's analysis your hair type as soon as it touches your follicles, it then chooses which temperature to automatically switch to, correct for your hair type, amazing. Temperature display on the top of the straightener. Few customers found there was a buzzing noise coming from the straightener. If you are looking for the best straighteners for damaged hair, then the Karmin G3 Salon Professional 1" inch hair straightener can be the best investment you’ve ever made. What makes this product stand out is the fact that it’s a professional model that is said to be a very durable straightener. It seems to have quite a lot of interesting, individual features that we don’t always find on the more standard type pf straighteners. A great attention to detail that makes this product stand out. Yet the true benefit from the Karmin G3 Salon Professional 1" inch hair straightener is that it doesn’t damage your hair at all. If you are a person that uses a hair straightener daily, then you may suffer with dry and damaged hair follicles but with this particular product it has been designed focusing on the health of your hair. You will definitely see a difference when you try this product! To read the full review on one of "the best hair straighteners for damaged hair" then click here. These straighteners are very easy to use and leave your hair feeling shiny and smooth. We could not find any negative reviews on this product... Bonus! We don’t want to stop you from using straighteners in your daily routine we want to make life easier for you. If you feel you have already damaged your hair from styling products we have done the research for you to make sure we find the best straighteners suitable for you and your damaged hair. Restoring your health in your hair is very important when styling, it is said that the more damaged the follicles become the more they begin to split and cause more frizz which then causes a circle as you will use the straighteners repeatedly over the same piece of hair. If you have fine hair then you may want to read my best hair straighteners for thin hair. So have a look through the straighteners we have choose as our Best hair straighteners for damaged hair. Best I have ever used is the Karmin!! Thank you for your recommendation Patrica i will definitely look into reviewing the Karmin hair straightener for damaged hair.